All good things must come to an end. After eight years (2005-2013), Dexter wrapped production. Eight years back, on December 2005, the crew began shooting the pilot 1.01 "Dexter" in Miami, but were unable to finish due to the overlap of production with the hurricane season. In spite of a subsidy from the state of Florida, the crew moved to L.A, where the remainder of filming took place until last night. 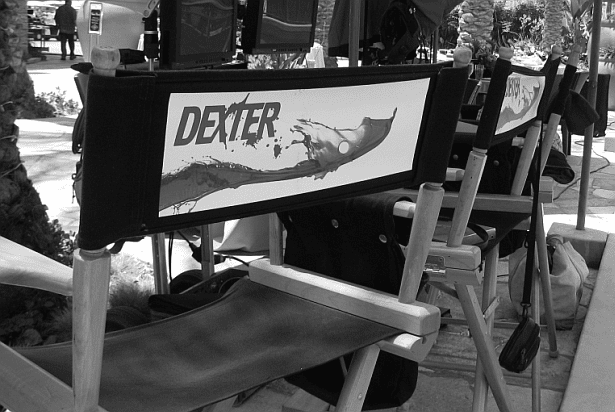 Yesterday, July 10th 2013, at 1am (Pacific time) Dexter officially wrapped production. Four hours before the end, Jennifer Carpenter tweeted that's she's about to shoot the final scene with Michael C. Hall. Well, this is it! Big thanks to the cast and crew for their hard work all these years!